The Starla Constellation diamond earrings feature 0.50cts of brilliant cut diamonds, fully precision set into 18ct White Gold. The Starla halo Diamond cluster earrings come to life – as light dances from edge to edge across a surface of the Diamonds. Meticulously set, this pair of exceptional earrings carries over half a carat of Diamonds. Hand selected for clarity, whiteness and brilliance, each Diamond has achieved a grade of G Colour and SI1 Clarity. We complement the Diamond whiteness with luxurious 18ct White Gold. Each earring measures an impressive 8mm in diameter from edge to edge. Opening the box, the impressive sight of the Starla earrings will make a perfect surprise and will be cherished for a lifetime. Available from stock, this design forms part of our Ready-to-Wear collection available for immediate delivery. Set with over 0.50cts of diamonds, the Starla earrings capture light from every direction, shown here beautifully packaged as they arrive. All deliveries in the UK are sent under plain cover within a solid main box, containing your diamond earrings presented within a beautiful gloss white diamond earring box. 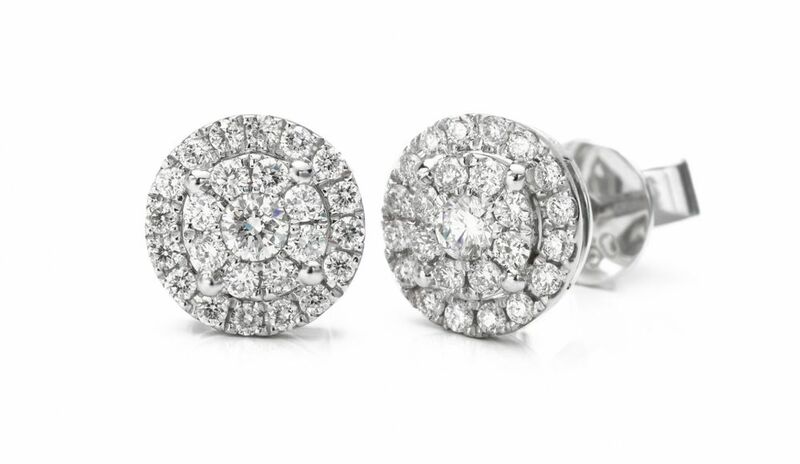 All diamond earrings include a detailed insurance valuation and diamond grading certificates where appropriate. We contact you when your delivery is sent providing the full details of the Royal Mail Special Next Day delivery. All diamond earrings are presented with luxurious packaging. Enjoy our pristine diamond earring packaging. All Serendipity Diamonds earrings include 2 additional pairs of special secure earring backs in addition to the precious metal backs. 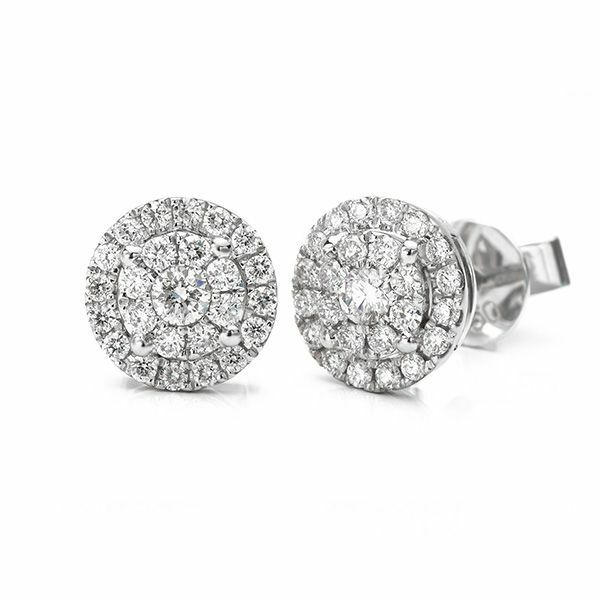 Earrings created from 100% natural conflict free diamonds. All diamonds are sourced free of conflict and completely natural. We select only the finest diamonds based on your chosen specifications. All diamonds are matched by our expert diamond graders and all diamond certification is provided by the world's most respected diamond grading laboratories. Upon request we can also create diamond earrings with a known origin—via Traceable CanadaMark diamonds, accompanied by documentation on origin, original carat weight with a GIA diamond grading report. Combined with Fairtrade Gold, earrings can be created as 100% traceable and ethically sourced commissions.